Roasted Boston lobster, aromatic crustacean foam, fennel, carrot and celery compote - pretty nice and delish. Loved the crustacean foam, along with the combination of celery, carrots and fennel. Aromatic, indeed. Would have loved to get some bread to wipe the bowl clean. Slow cooked jumbo quail, black pepper sauce, pumpkin porridge and fennel confit - the quail was delicious, even cooked pink as it should have been. Not a real fan of the porridge... I knew I was eating something akin to a porridge that was mushy, but it just wasn't my type of stuff. Coffee crème brûlée, banana and hazelnut compote, Baileys madeleine - I wasn't expecting the banana and hazelnut on top, but I guess overall it was pretty good. The madeleine failed. Not only did I not taste any Baileys, the texture was also wrong. When I'm dining at a club, my expectations for food are drastically lowered. Besides, tonight was really about the wines. 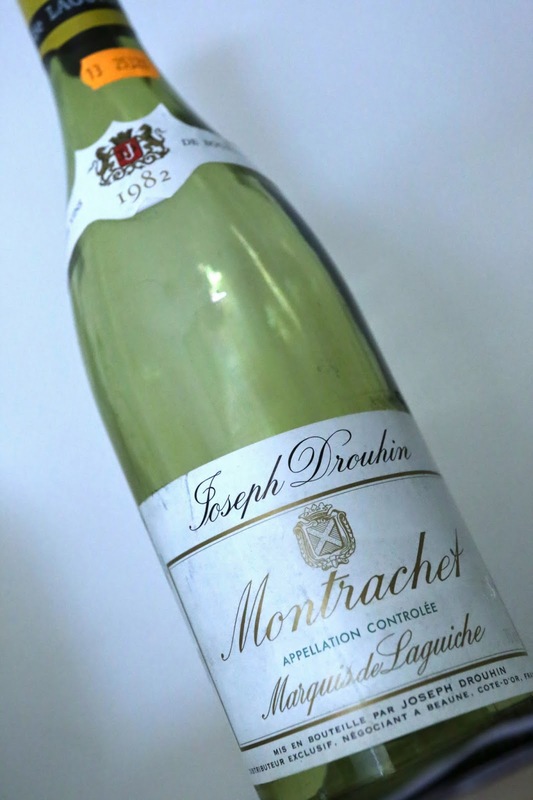 1982 Joseph Drouhin Montrachet Marquis de Laguiche - really ripe and sweet, with marmalade, mineral and grassy notes on the nose. Ripe on the palate, short finish. 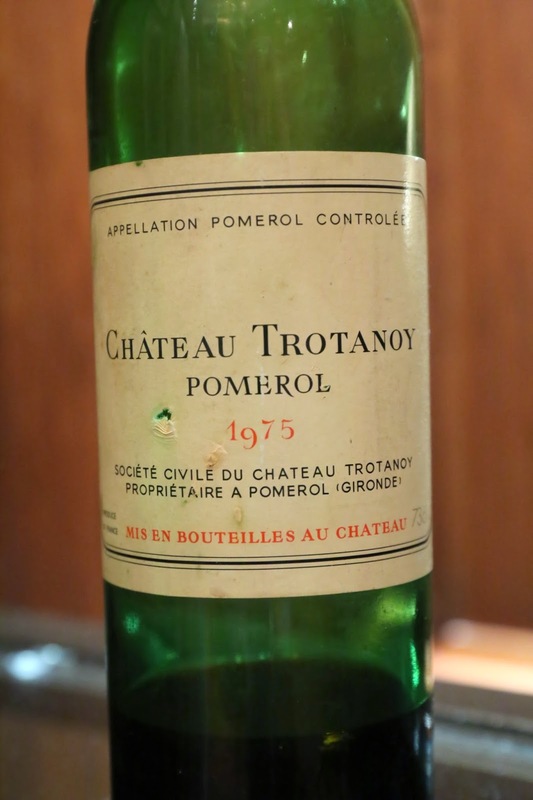 1975 Trotanoy - pretty farmy, bacon fat, a little sharp alcohol in the nose. A little smoky and plummy, a little savory, and slightly exotic towards the end. 94 points. 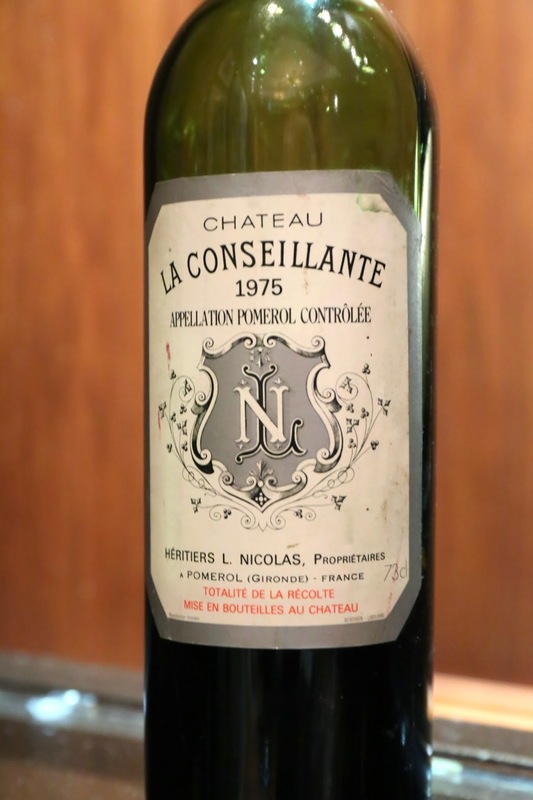 1975 La Conseillante - sweet, ripe, a little earthy, smoky, pencil lead. A leaner wine compared to the Trot. 92 points. 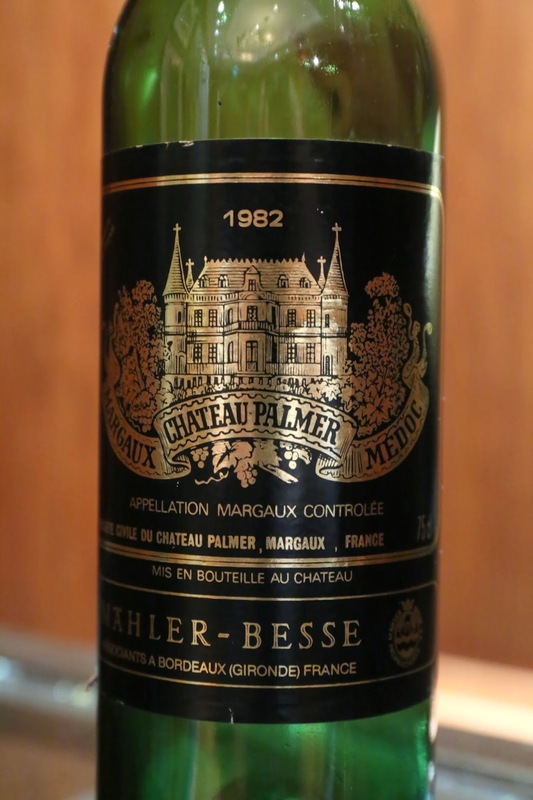 1982 Palmer - smoky, a little sharp alcohol, savory on the palate with some ripe fruit. 92 points. 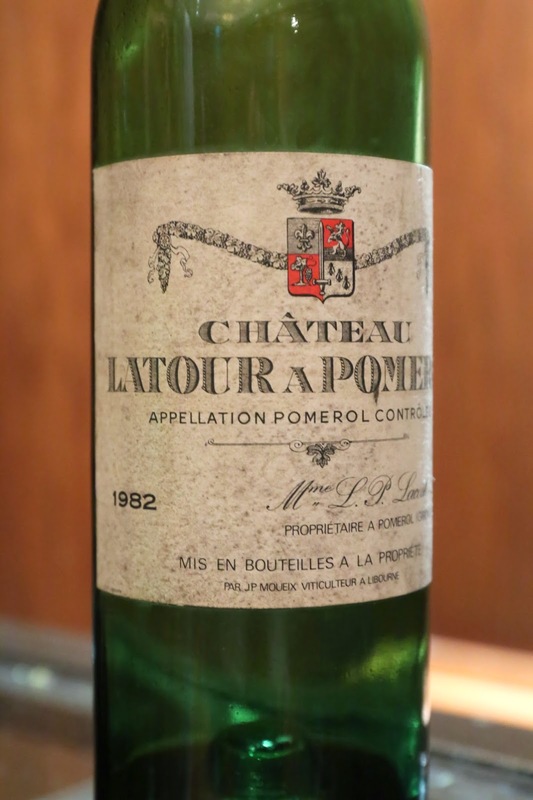 1982 Latour a Pomerol - smoky, pencil lead, a little farmy, smoky and coffee notes. Really opened up after 3 hours. 94 points. 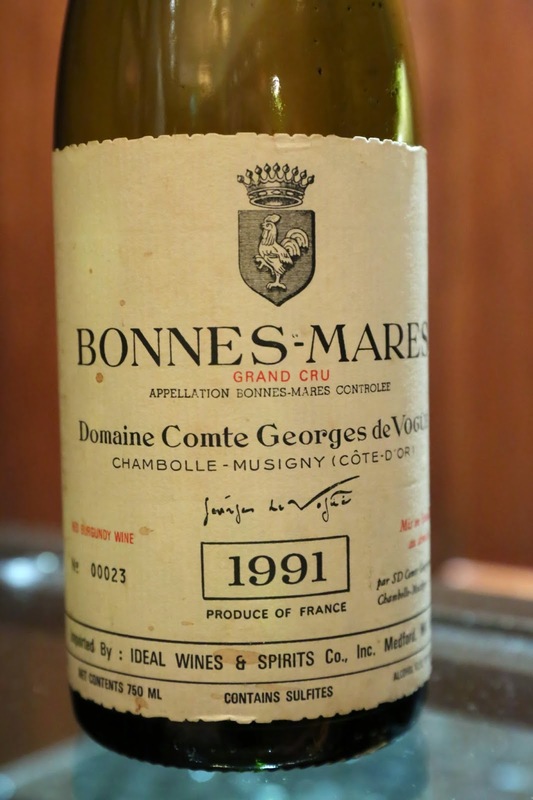 1991 Vogüé Bonnes-Mares - a little dusty, very savory, black olives, a little vanilla and coconut later on. 94 points. Tonight's lineup of wines wasn't meant to be tricky, but almost all of us stumbled... and ended up guessing pretty much the wrong wines. Sometimes we failed so spectacularly that it wasn't funny. 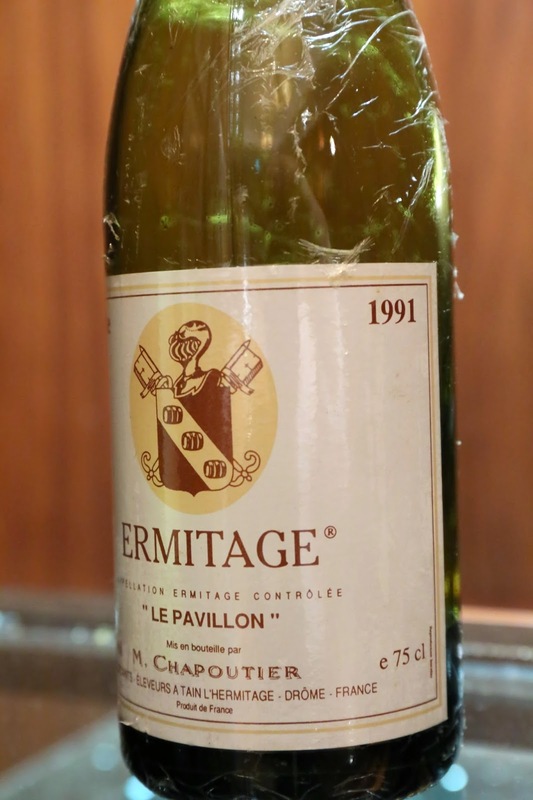 Thirteen years after we first started drinking wines as a group - and ten years after the blind-tasting format began - have we actually gotten any better at it? Methinks... not.